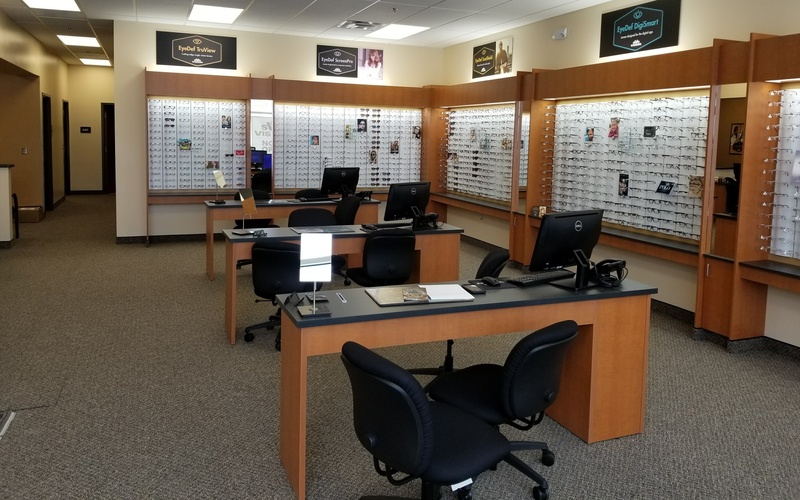 If you’re in need of a new pair of glasses, look no further because a SVS Vision Optical Center just opened in the Auburn Hills Marketplace. The new retail store is rounding out the offerings at the successful and popular shopping center, which includes Starbucks, 2941 Street Food, and coming soon Blaze Pizza (opening later this month). SVS Vision carries a wide range of frames including those from some of the most noted designer brands like Calvin Klein, Coach, Eddie Bauer, Flexon, Gucci, Guess, Nautica, Nike, Polo and Ray-Ban to name just a few. They also carry frames tailored specifically for children including brands like Luck Brand, Nickelodeon … and believe it or not Teenage Mutant Ninja Turtles! Now when you first walk into the store and see the large selection of frames that fill the walls you might ask yourself, how am I supposed to choose from all these frames? But there’s no need to worry; their friendly staff is trained to help you find the perfect frame that will make you look like a million bucks. And once you have your specs picked out they can pair them with any one of SVS Vision’s five EyeDef lenses. When it’s time for you to walk out of the store, you will truly have a custom pair of glasses designed for your style and vision needs. To learn more about SVS Vision and the products and services they provide, like sunglasses and contact lenses, click here.